The Texas House of Representatives. House of Representatives photo. A prosperous economy made passage of a record $196.9 billion biennial budget relatively easy in the 83rd Legislature but the congenial and workmanlike regular session was overshadowed by a battle royal over abortion in special sessions. What a difference two years made. When they convened in January 2013, legislators had an $8 billion surplus to work with — the result of growth, increased oil production, and more sales tax revenue — instead of the $27 billion revenue shortfall that required huge budget cuts in 2011. With a no-tax-increase budget, they were able to restore many of the cuts previously made to public education, address long-neglected state water needs, and provide $710 million in tax relief for small businesses. But the harmony of the regular 140-day session was eclipsed by a stormy ending to an immediate 30-day special session, when a 13-hour Senate filibuster and boisterous gallery protest stopped Republicans from passing one of the most restrictive abortion laws in the nation. The bill would prohibit doctors from performing abortions after 20 weeks of pregnancy, require them to have admitting privileges at hospitals within 30 miles, and make abortion clinics meet the standards of surgical centers, which opponents said would close 32 facilities. Gov. Rick Perry called the special session to deal with redistricting, and then added abortion, juvenile justice, and transportation funding to the call. Redistricting was easily disposed of by making permanent the voting maps drawn by federal judges that were used in 2012 elections. He then called a second special session, when abortion easily passed with continuing opposition. But the first special session thrust Texas into the national spotlight, along with state Sen. Wendy Davis, D–Fort Worth, who, wearing hot pink running shoes, filibustered the abortion bill. Thousands followed the proceedings online and commented on Twitter. The bewitching-hour Senate defeat left an exasperated Republican majority, after the bill had survived a hard-fought all-night session in the House with a gallery full of protestors wearing orange T-shirts. It also fed Democrats hopes that Davis could lead their depressed party — which hasn’t won a statewide election in two decades — out of the wilderness with a “war against women” battle cry. Meanwhile, Lt. Gov. David Dewhurst, after a big primary loss in the 2012 U.S. Senate race to fellow Republican Ted Cruz, possibly could look forward in 2014 to his toughest re-election battle since first being elected the Senate’s presiding officer in 2002. Opponents accused him of lack of leadership in letting the clock run out during parliamentary maneuvering. He blamed an angry gallery mob for obstructing the vote at the midnight adjournment deadline. In the second special session, lawmakers had more time to act, eliminating the threat of an abortion bill filibuster. Demonstrators protested and Democrats pitched amendments as the national media watched final Senate passage of HB 2, authored by Rep. Jodie Laubenberg (R-Parker). Additional state troopers were stationed in the Senate gallery to insure order. But a constitutional challenge was expected. Perry, the state’s longest-serving governor announced during the second special session that he would not seek re-election in 2014, when a grand reshuffling of statewide offices was expected. He left open the possibility of a repeat run for the GOP nomination for president, after an ineffectual try in 2012. In the regular session, House Speaker Joe Straus set the tone by urging consensus and a focus on serious issues, such as water. Hot-button social issues were kept off the floor. A large and inexperienced freshman class helped to keep the lid on, occasionally wearing purple ties to symbolize the cooperation between Republican red and Democratic blue. To be sure, Republicans easily outnumbered Democrats: 95–55 in the House and 19–12 in the Senate. The House also had 43 freshmen; the Senate, six new members. Tea party influence in the 2012 elections had fueled turnover, along with the acrimonious 2011 session that led several longtime Republican members to retire and others to be defeated. As for the budget, the percent of spending growth over the previous $172 billion budget was hard to assess because of accounting gimmicks, money moved off the books, and leftover IOUs. Estimates ranged from 3.7 percent to as much as 26 percent. Critics called the budget too costly while others said it failed to keep pace with population and inflation and didn’t restore enough of the 2011 cuts. Conservatives flexed their muscles by rejecting expansion of Medicaid as part of the federal Affordable Health Care Act and also declined to create a state health insurance exchange. Texas thus turned down billions of federal dollars for healthcare coverage for 1.5 million poor Texans, but also avoided the state’s share, estimated at 7 percent of the cost. The budget did provide more aid to hundreds of low-wealth school districts, to narrow the gap between richer-poorer districts, even as Texas spending per pupil slipped to 49th among the 50 states, according to the National Education Association. Also on public education, legislators responded to test-weary educators and parents by reducing school testing. They cut end-of-course tests mandated for graduation from 15 to 5 and tests in grades 3–8 from 17 to 8. Plus, they gave students more flexibility to pursue career and vocational courses by providing multiple pathways to graduation, and increased public charter schools. 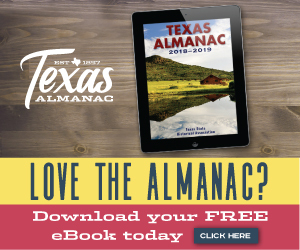 Responding to drought and population projections — 34 million Texans by 2030 — lawmakers appropriated $2 million from the reserve Rainy Day Fund for a new water fund, contingent on voter ratification in a November 2013 referendum. They hoped, in the second special session, to divert another $1 billion annually from the state’s reserve fund to build and maintain roads, which also would require a statewide popular vote. • Pecan pie became the official state pie. Carolyn Barta, a retired Dallas Morning News political writer, is a journalism professor at Southern Methodist University.